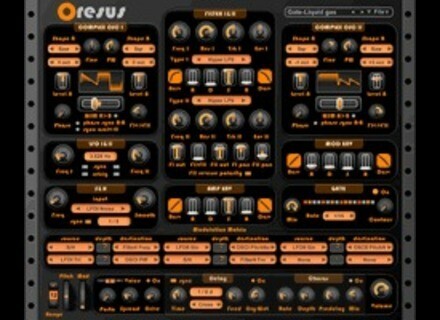 Oresus, Other Virtual Synth from HyperSynth. 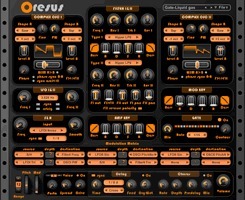 HyperSynth has updated Oresus to version 1.2. Increased number of factory presets to 100. Now Acrv and Dcrv in all envelopes respond to "Ctrl + click" for resetting to default. Fixed crashing when opening multiple instances of the same plugin in Cubase. Fixed several problems in LFO retrig function. Fixed malfunction in oscillator "phase" and "phase a-b". Fixed problem in step-lfo that did not load step values from *.ors files. Fixed a problem with displaying preset name with more than 19 characters. Fixed problem in polyphony selector which caused unwanted jump or lock. Avid Promotions Avid has announced promotions for a range of studio products. Xfer Records OP-1 Drum Utility Steve Duda of Xfer Records has released the OP-1 Drum Utility, a free tool for the OP-1 portable synthesizer by Teenage Engineering. Cinematic Tension Claved Cinematic Tension (Formerly Rich Douglas Music) has released Claved.